"I enjoy all country western music and Hank is one of the best," said Guyla Hornsby, who visited Williams' grave last summer with her husband, Preston. "I didn't know what to expect, but it's pretty neat." Williams' driver found him dead at age 29 on Jan. 1, 1953, in the backseat of his Cadillac en route to a gig in Ohio. While the cause of death is still a subject of controversy, his short career had been marred by heavy drinking and use of painkillers for a back condition. Williams' hits included a dozen singles at No. 1 and many more in the country top 10. Among them were "Your Cheatin' Heart," "I'm So Lone-some I Could Cry," "Cold, Cold Heart," "Hey Good Lookin,"' "Jambalaya (On the Bayou)," "Move It On Over" and "Lovesick Blues." Many of the songs remain well-known both as country songs and as popular standards, with artists from Linda Ronstadt to Norah Jones recording covers. Williams' son, Hank Williams Jr., is a successful country-rock musician as well. 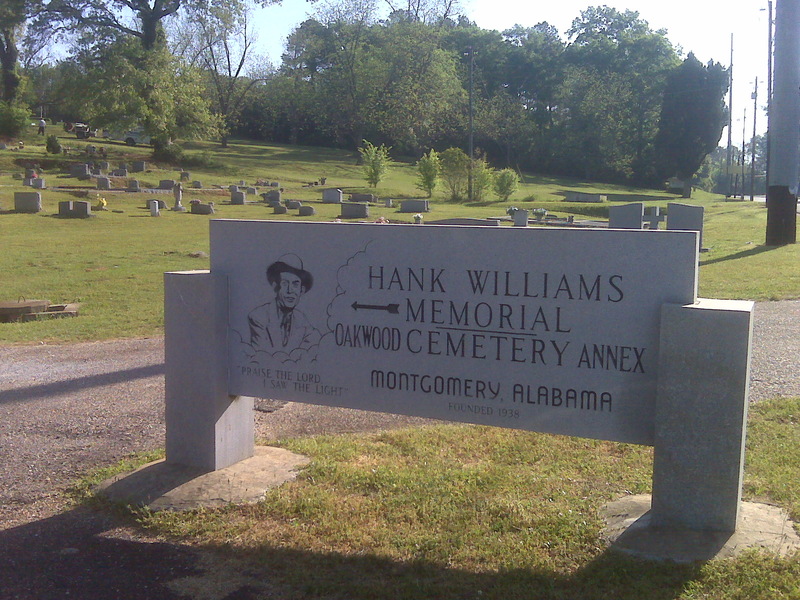 Williams is buried in the Oakwood Cemetery Annex, about a mile from the Hank Williams Museum in downtown Montgomery. The gravesite features two white and gray marble monuments, one to Hank and one to his wife, Audrey. Marble slabs with their names and the years they were born and died mark the burial sites. There's also a marble replica of Williams' cowboy hat. 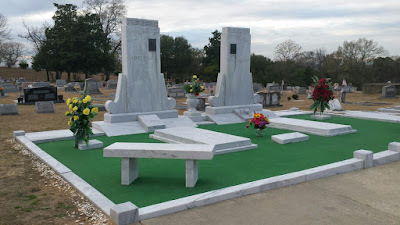 A low marble curb pens in the artificial-grass-carpeted area around the monument, and two marble benches provide a resting spot for weary visitors. While folks come year-round to pay their respects, ceremonies are held at the cemetery twice a year, on the Jan. 1 anniversary of Williams' death, and on his Sept. 17 birthday. The New Year's Day event "is the best time of year to come," said Lee Sentell, director of Alabama Tourism. Fans gather at the museum in downtown Montgomery, and singers, both professional and amateurs, per-form impromptu covers of his songs. 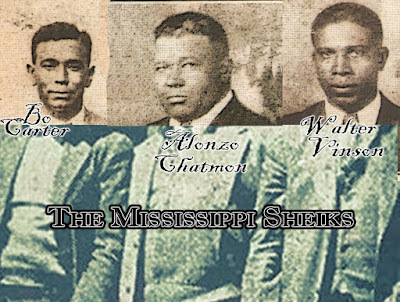 Guests at the events have included elderly members of Williams' old band, the Drifting Cowboys, along with Charles Carr, the driver who found Williams dead. More than 25,000 people came to Montgomery for Williams' funeral, a record crowd for the city that has never been surpassed. The funeral was held in City Hall, which is also on the Hank Williams Trail, and broadcast to the crowds outside. The statue of Williams stands across the street. The Hank Williams Museum gets about 35,000 visitors a year. The museum was founded in 1999 by Cecil Jackson, who fell in love with Williams' music at age 8, before Williams had started recording. He was popular locally and Jackson heard him on the radio. Jackson's daughter, Beth Birtley, manages the museum today and describes herself as a life-long fan. "I was raised knowing who Hank Williams was," she said. "I'm very proud to have had my father teach me who Hank Williams was and how to appreciate him and his music. And I'm proud to be a part of the family that helps keep his memory alive." Museum exhibits include the convertible Williams was riding in when he died. 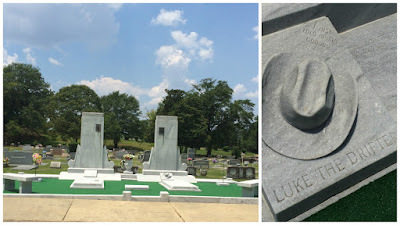 Williams' fans may also want to pay a visit to Lincoln Cemetery, where a 9-foot-tall white marble stone notes that Williams' mentor, Rufus "Tee-Tot" Payne, is buried there. The exact location of his unmarked grave is not known. Payne, a black street musician, taught Williams to play guitar in the 1930s. Sentell, the tourism director, says fans often make nocturnal visits to Williams' grave in Oak-wood, and they sometimes leave an unusual offering. "Because of Alan Jackson's song, 'Midnight in Montgomery,' fans of Hank's, as well as country music in general, will frequently go up there to have a beer," Sentell said. He said he went up to the grave one Sunday to take photos in the early morning light and found several empty beer cans, as well as a full one — seemingly left for Hank. Cemetery custodians have told Sentell it is not uncommon to find beer cans both empty and full — by the site in the morning. "Somebody during the night," said Sentell, "shared a brew with Hank."